Being a homeowner offers one of the most important financial benefits – you do not need to waste means on rent, but build equity with each payment of your loan’s balance. The equity can be your beneficial asset in various life situations. Home equity loans are now a good borrowing option for those who face expenses exceeding their expectations. 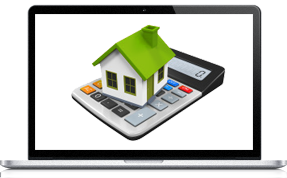 The typical home equity loan is provided in a lump sum amount. The borrower should make monthly payments to cover the total amount. As a rule, the interest rate is lower, compared to the other types of credit, but you should be careful about the closing costs and fees. The latters may significantly increase your obligations. That’s why it’s important to be cautious while making the decision and signing the agreement as to the credit based on home equity. Personal Money Service aims to help you in making the right choice. Our company connects the clients with the home equity loans providers, who are ready to meet the needs of the customers with various financial situations and expectations. Among the variety of the credit options offered, the customer should be able to find the best home equity loan for himself. It is often called a second mortgage and it’s important to make good use of the borrowed means. Such credit based is good for those, who need a certain amount of cash to cover a single big expense just one time. This type of loan also works well in the situations, when debt consolidation program is needed. Taking the home equity loan to improve the value of your house can also be a good idea. You can just reinvest your equity back into your property. Don't waste your time. 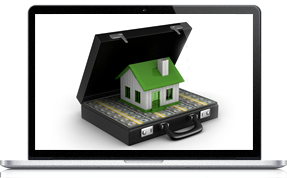 Get a home equity loan online. Every financial agreement has terms, conditions and fine print, home equity contracts as well. You should know very well how they work before signing the papers with your lender. The very first thing to find out is whether you are eligible for such a credit type. LTV - loan-to-value ratio is the major aspect to be considered. It’s better the figure do not exceed 80% though some lenders accept a higher ratio – up to 90 percent, but it also depends on other factors. The amount of equity against the borrowing amount comes as the second important factor to be checked. You are likely to get a loan somewhat between 80 and 90% of your total equity. Credit score and debt-to-income ratio. The average DTI is about 40% while credit score requirements vary and influence the conditions offered to the borrower. You should meet the requirements above to get best home equity loan rates and enjoy the benefits of this credit type. However, some of our cooperating partners are ready to deal with the applicants even with less than perfect credit score, aiming to meet their needs as well. Nowadays the majority of actions can be taken online, so are the applications for the loans. Personal Money Service offers you convenient online application procedures. Our company is a perfect choice as it connects you to the network of lenders, able to offer you various borrowing options and opportunities based on your financial condition. That’s why our clients are always satisfied with the service provided. Keep in mind that Personal Money Service charges no fees from her applicants. If you qualify and agree to take a home equity loan more information and documentation on your part will be required by the lender directly. The fees to the lender may also be applicable, but find all the details out and negotiate with the lender directly. To know if you are eligible for a home equity loan – apply right now.